In 2008, Ford Motor Co. sold its Land Rover and Jaguar brands to Indian giant Tata Motors. Since then, those globally recognized luxury brands have been a profit powerhouse under Tata’s ownership. So it’s not without some irony that Tata’s efforts to sell its Nano, a very barebones sub-compact car, in its home market of India have been widely perceived as a failure. The Nano was billed as the car for the base of the pyramid, or more accurately, those living in lower middle classes who could afford to make their first car purchase. 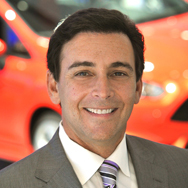 Mark Fields, chief operating officer of Ford and a front-runner to take over as CEO after Alan Mulally exits (possibly for the head job at Microsoft), spoke recently at the India Business Conference at the University of Michigan’s Ross School of Business. One attendee, who said he was a Ford employee, asked Fields about his perspective on the Nano and what Ford took away from that car’s poor market showing. Fields said Ford has invested about $1 billion in India since formally entering the market in 1995 through a joint venture with Mahindra and Mahindra. Ford is in the process of investing another $1 billion. Today, the company offers five vehicles in India, operates an engine plant in Chennai and employs around 11,000 people directly. It’s also moving to double its dealer network in the next two to three years and is in the process of building an engine assembly plant in Sanand, India. The automotive industry represents about 7 percent of India’s GDP, but the government’s goal is to increase that to about 10 percent. Still, India’s auto market today stands at about 3.5 million vehicles a year compared to about 800,000 in 2002. By 2020, Ford expects the market to double or more to 7 or 8 million vehicles, making it the third largest market in the world behind China and the United States, Fields said. He also indicated that the Nano flop is a cautionary tale for businesses that take a “company out” instead of a consumer view of the world. While Ford is moving toward a “One Ford” operation, providing global platforms and models instead of more region-specific vehicles, it nevertheless tries to customize this fleet to fit local customs. That includes offering storage areas for religious statues that ride along with many Indians in their cars, providing bigger air conditioning compressors to deal with unforgiving heat and humidity, and bringing much more vibrant, “optimistic” color schemes both inside and outside of the cars. “In other parts of the world yellow instrument panels turn people off, but not in India,” he said. He also noted that Ford has learned that car horns play a much bigger role on the streets of India compared with other markets. “When you go to India, horns are a means of communicating, so we have to work on the durability of our horns,” Fields said, prompting audience laughter. 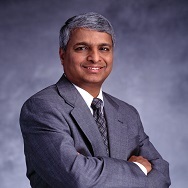 Desh Deshpande is an Indian American venture capitalist and entrepreneur, best known for co-founding Internet equipment manufacturer Sycamore Networks. He also started the Deshpande Center for Technological Innovation at MIT and the Deshpande Foundation, which aims to accelerate the creation of sustainable, scalable social enterprises. In July 2010, he was appointed by President Obama as co-chairman of the National Advisory Council on Innovation and Entrepreneurship. He shared the example of one of his students at MIT, who wanted to improve water access in an Indian city. But when she actually went there, she found that people already had some access to water – the problem was, they were only getting water for two hours a day, and they didn’t know when their two hours would be. So she mapped the water access points to individual households throughout the city and set up a subscription service that sends an SMS to people, telling them when they’ll get their two hours of water each day. Making a limited supply predictable has a huge value to people, he explained – and his student only realized this by taking the time to understand their problems, then co-creating a solution with them. The solution, he said: more people have to become entrepreneurs.